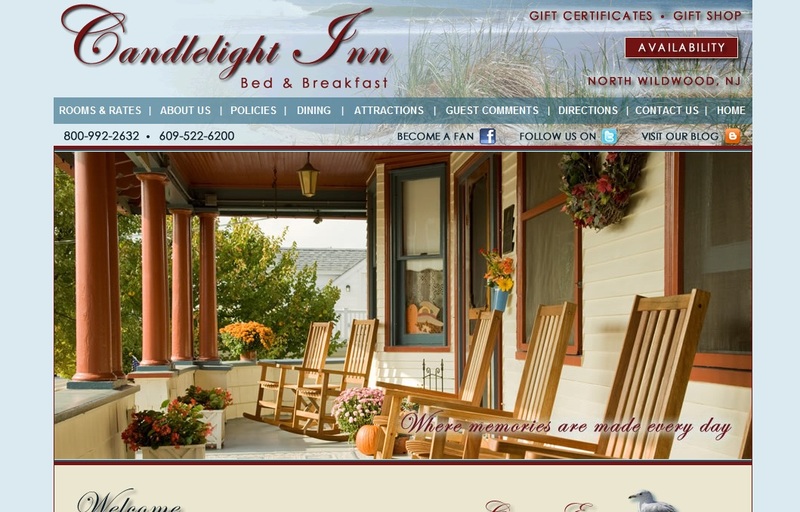 Recently Bill and Nancy of the Candlelight Inn, a New Jersey North Shore bed and breakfast, contacted Acorn for a “Site-Lift“. We start with the basic “foundation and walls” of the web site and then build on a new look and feel. It’s like changing the paint, carpet and drapes in your home. No major structural changes, but a nice new image is projected. Updating your site doesn’t have to mean an entirely new site. Check out Acorn’s portfolio for other recent Site-Lifts.